Landford Stone – Natural stone steals the spotlight! At Landford Stone we’re lucky enough to work on some truly breath-taking projects in properties across the South-West. There is no greater joy for us than the reward of seeing the highest quality natural stone taking pride of place in beautiful properties. 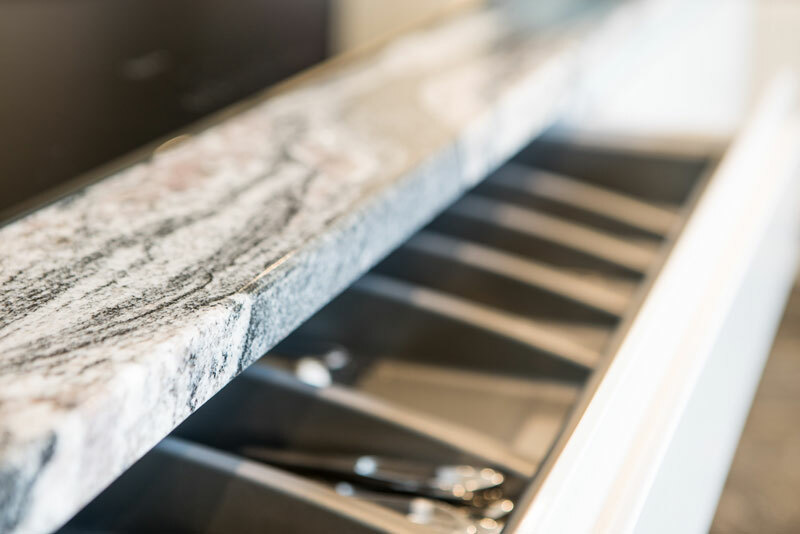 Natural stone is much more than simply a ‘worktop’ or ‘flooring’ material, it is, to us, a ‘natural masterpiece’, a geological work of art that not only brings the outside world indoors but brings with it both character and charm. Each individual natural stone slab is unique in its patterning and colouring, which is why we encourage all our private customers to visit our yard to hand-select the slab that is perfect for their project. We’re thrilled to be able to showcase a recent project, completed at the end of 2017, at a magnificent Chandler’s Ford home. 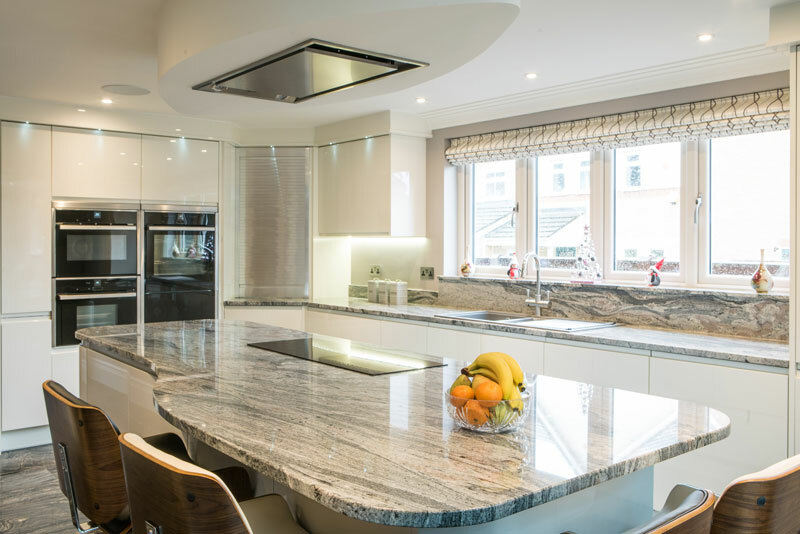 The incorporation of a trio of natural stone materials – granite, limestone and marble, has really delivered both an air of sophistication and wow-factor in this impressive home. 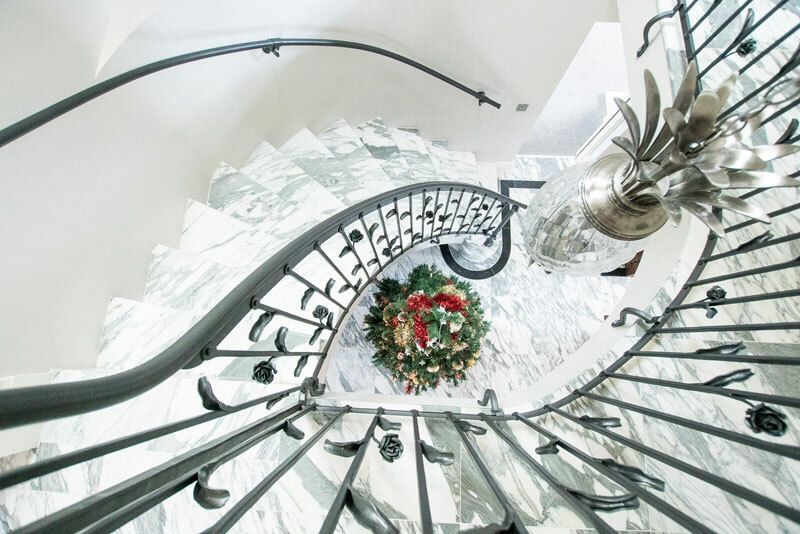 This particular project not only involved a full kitchen worktop installation with striking limestone flooring but also an absolutely jaw-dropping marble entrance hall, staircase and first floor landing. 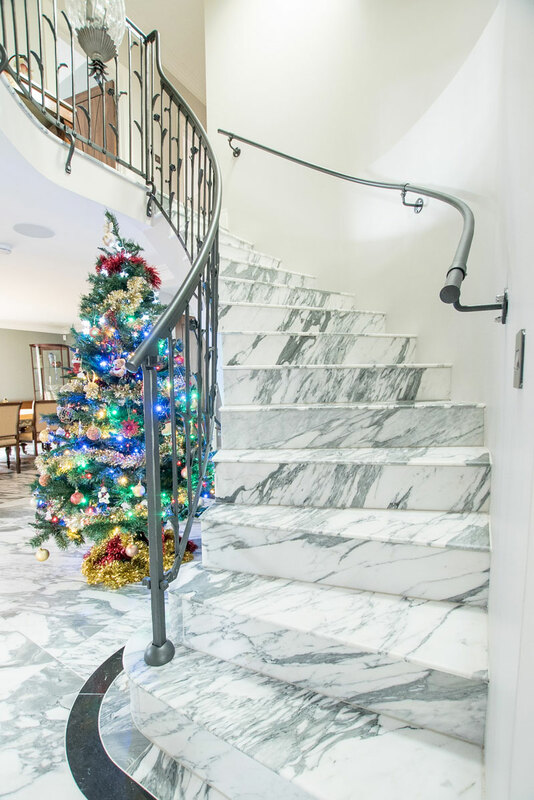 The marble we used for this stunning staircase is Arabescato Corchia, originating from Italy. Arabescato is a white marble with striking grey veins that certainly add a touch of luxury to any project! The individual tiles for this project were pre-cut in Italy from matching slabs, transferred over to their new British home and painstakingly fitted by our expert flooring team. The Arabescato Corchia is complemented by a contrasting Nero Marquina, dark marble inset/border (originating from Spain). The bespoke treads and risers were manufactured at Landford Stone’s factory. 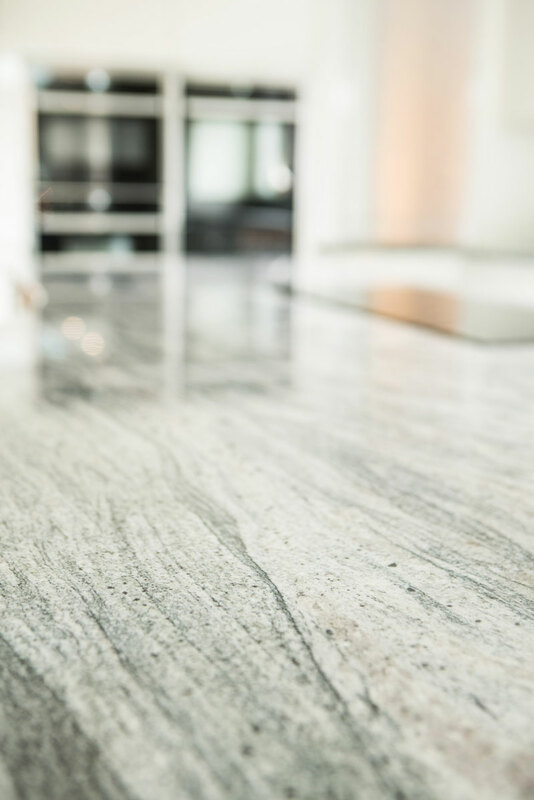 Marble is a winning material when it comes to elegant flooring. It has been used for thousands of years, from Ancient Egypt to Ancient Rome and Constantinople. 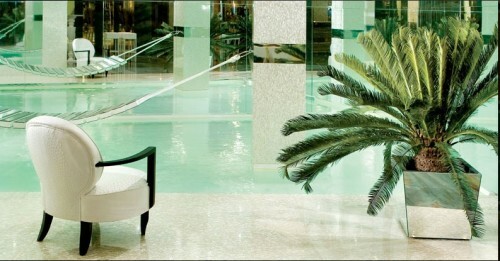 Marble is of course a higher priced natural stone which conveys an air of grandeur. 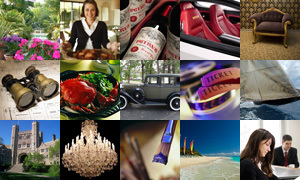 It is incredibly hard wearing and represents an investment, contributing to the resale value of your property. 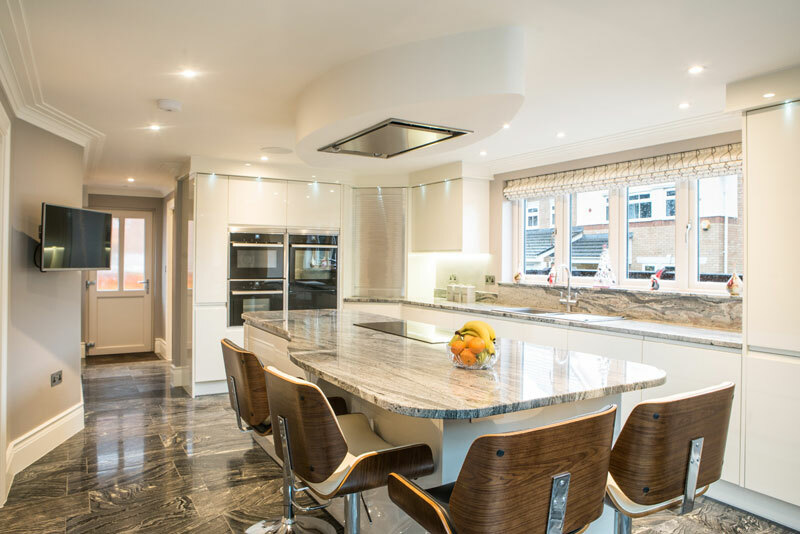 This stunning kitchen features our 30mm Kinawa White granite worktops with pencil edge detailing, as well as a bespoke shaped granite kitchen island with incorporated breakfast bar /sitting area. Kinawa White granite has been hugely popular over the last 5 years and it is easy to see why! One of our most popular light granite materials, Kinawa, features beautiful grey patterning throughout and looks equally brilliant in both modern and traditional kitchens – this versatility is definitely a contributing factor in its popularity. In this kitchen we also installed a large up-stand behind the work surfaces that runs seamlessly into a windowsill. This added feature of an incorporated windowsill or shelf is a very popular detail and a fantastic way of showing off a bit more of your natural stone. 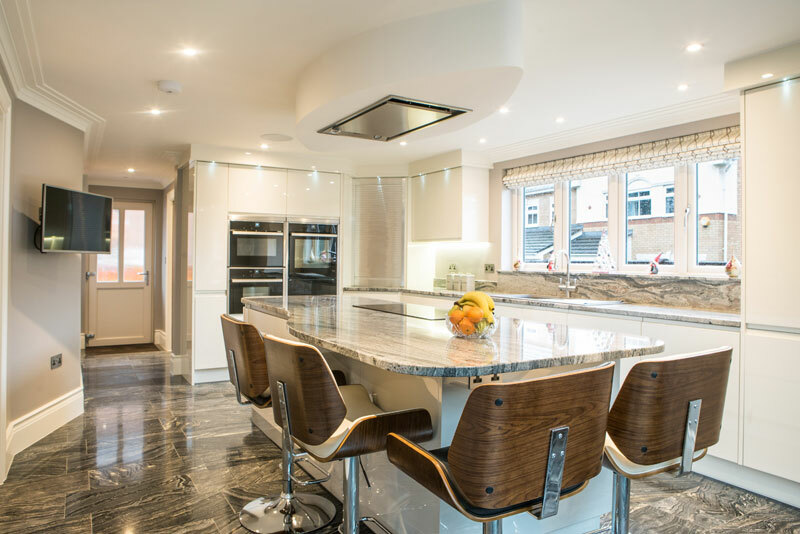 The kitchen flooring is 10mm thick Baobab Ebony limestone tiles, supplied by our major flooring partner Ca’ Pietra and installed by our experienced flooring team. Upon visiting Landford Stone it soon becomes apparent that this modest business situated in the beautiful Wiltshire countryside has ambitions far bigger than the granite and marble slabs that adorned the outdoor showroom. As you gaze in wonder at their colossal library of stone you’d be forgiven in thinking that choosing the right stone would be anything but easy – but as it turns out it is. Their incredible Teltos Select Range – which is their biggest seller in Quartz and backed by a 15 year warranty – has colours selected by kitchen companies from around the South. Teltos Quartz was introduced two years ago and has been more successful than Landford Stone could have ever imagined. It’s fast becoming a well known Quartz brand rivalling the monoliths of Silestone and Caesarstone. 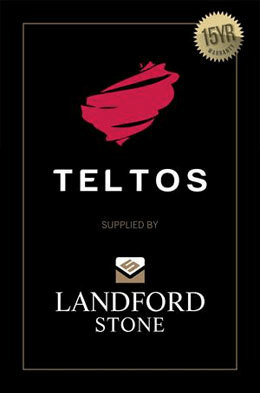 Working directly with the Teltos factory has also meant Landford Stone have been able to offer great price savings too. New colours French Grey and Winter White give a softer look than the Graphite and White previously available from this Queen of Couture Linen, Bella Notte. Hailing from San Francisco, these linens are spectacularly well made and will last a lifetime if given the correct treatment, moreover they are easy care so you can put away the spray starch and iron because these are meant to look relaxed and gently crumpled, inviting you to cosy up amongst the cushions. Landford Stone is a family run company whose directors have worked within the industry for over 40 years. 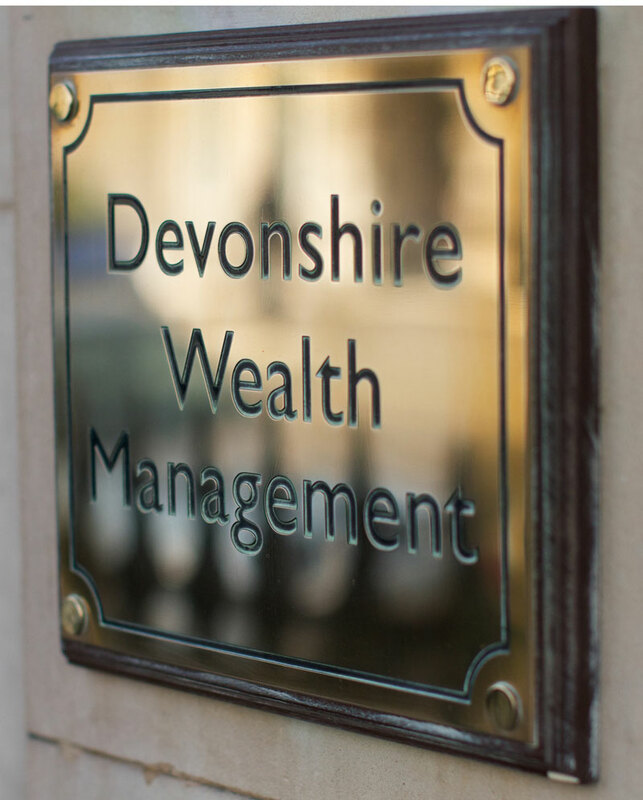 Their ethos is “Quality and Service” and there are currently three generations of the family working in their Wiltshire factory along with 30 skilled employees, many of whom have been with the company for many years. 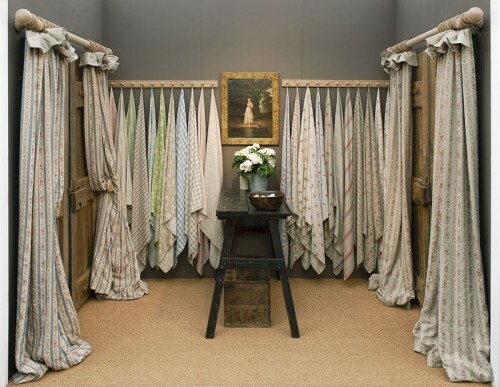 In my constant search for beautiful and unusual fabrics I came across Inchyra Linens. 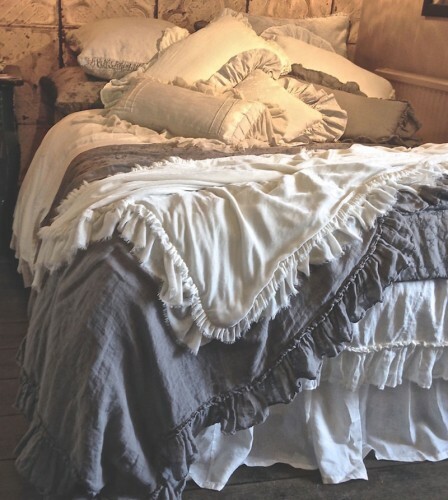 Of course I know there is nothing unusual in linens as such, but these linens have been given a treatment so they appear to be instantly aged, thus taking on the look and feel they would normally only achieve after years of wear and washing. As a designer I have always remained stoically faithful to my deep passion for all kinds of natural stone, be it for interior or exterior it is an ageless and elegant answer to so many spaces. In the heady days of corian work tops and sinks I stubbornly used granite in all it’s myriad colours. Prior to that, when the world was in love with pine kitchens, I took seconds of travertine and marble to make my own designs for tops, bashing them up and sticking them into a mix of sand, colour pigment and tile adhesive – more off the wall than actual mosaic but a style that offered endless opportunities. Latterly I have become more adventurous, creating whole bathrooms from marble and can only ever contemplate granite for any of my own kitchens. So it’s with great delight that I can share with you the joys of working with that doyenne of stone and all it’s counterparts, Molly Fisher of Landford Stone. 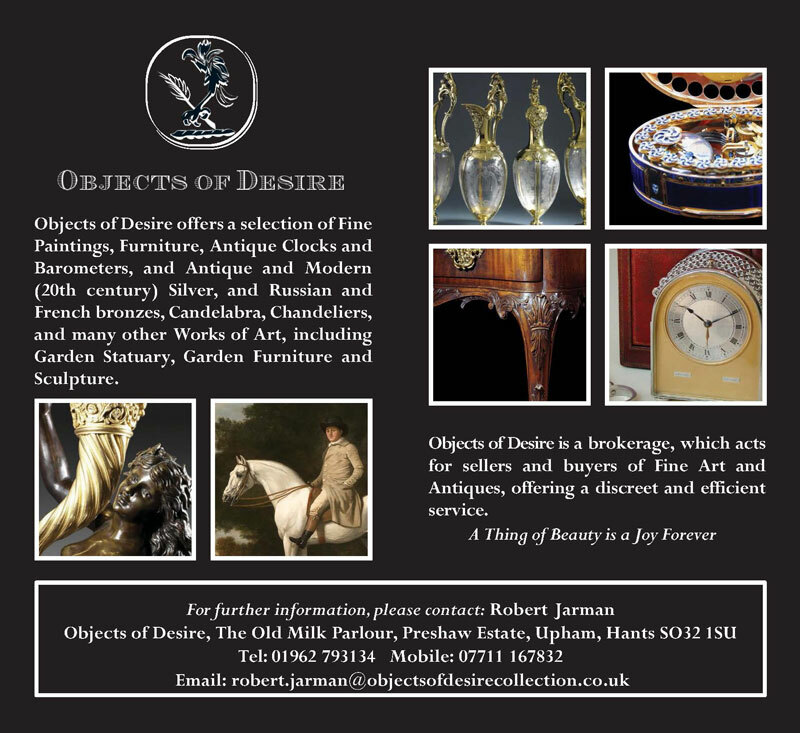 I am delighted to announce the appointment of Jane McIntyre as the Interior Design Editor of The Vintage Magazine. Jane is perhaps best-known known locally for her inspirational design of the Stanwell House Hotel in Lymington which she transformed from a bland, uninspiring establishment to a cosmopolitan hot spot for both locals and visitors alike. 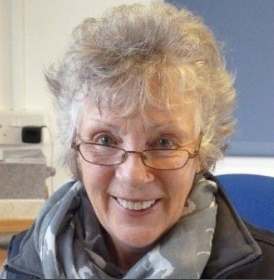 Jane has recently opened a Lifestyle atelier on Winchester’s Southgate Street. 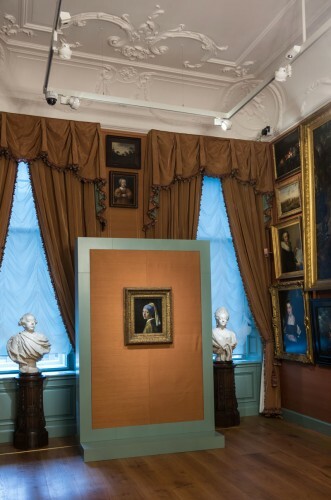 One of Vermeer’s most celebrated paintings is being beautifully and sensitively illuminated using the new ArtLED lighting fitting designed and manufactured by the Light Projects Group. 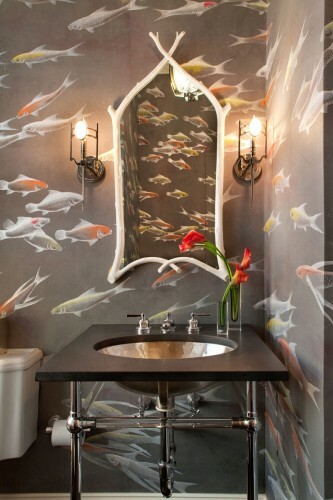 de Gournay specialises in creating exquisite hand painted wallpaper, fabrics, porcelain and hand carved furniture.